Lenovo Launched advanced version of K8 Plus on 6th September 2017. The New Lenovo K8 Plus comes with 3GB RAM, 32 GB Memory, 13MP + 5MP Dual Real Camera, 8MP Selfie camera and 5.2 inch screen size. Onboard Lenovo K8 Plus offer 4000 mAH of Battery and MediaTek MTK Helio P25 Octa Core 2.5 GHz Processor. Lenovo K8 Plus Runs on Android Nougat 7.1.1 | Stock Android Version Complain also promise the Android 8 update. 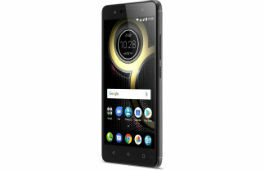 Buy Lenovo K8 Plus For Rs 10,999 From Flipkart. Packed with features, such as a dual rear camera system, the Android Nougat 7.1.1 OS, a 4000 mAh battery, 3 GB of RAM and a sleek metal body, the Lenovo K8 Plus is built to perform.